Today starts the 125th Annual CCAR Convention. Hopefully, that means that #ccar14 and #whatrabbisdo are about to become Trending Topics on Twitter. If that above sentence made perfect sense to you, and you responded with a resounded cheer of "yes!" then you probably don't need to read the rest of this blog post. If that above sentence made your eyes glaze over with the # symbols and the word Twitter...read on. On Twitter, users are referred to by the user name, prefaced by the @ symbol. So my username is @imabima. The idea of "tagging" someone in a post actually originated in Twitter but expanded to Facebook. 2. Find at least 10-20 people to "follow." This isn't a huge commitment. It's not like being "friends" on Facebook. It implies no special relationship. You follow other people in order to have something to read and respond to as you use Twitter. Twitter is ideal when there are people having actual conversations back and forth rather than just putting ideas out into the world. A single Twitter post is known as a tweet. The verb used to explain what you're doing when you post on Twitter is tweeting. 3. There are two main kinds of posts in Twitter: your own original tweets and other people's posts that you re-post, known as re-tweeting. "Re-Tweets" are usually prefaced by the letters RT. Most "good" Twitter users will do a nice balance or combination of their own tweets accompanied by RTs of other people's stuff. 4. Hashtags: This gets people a little wiggy. It's really less complicated than it sounds. Hashtags are a way to follow along a certain stream of conversation in Twitter, which can be a vast ocean of stuff. 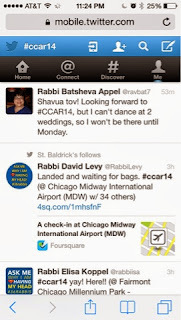 So in order to best follow what's happening at the CCAR, users will post their tweets with the extra phrase #ccar14. This allows people to follow just this particular stream of information surrounding the CCAR Convention and differentiates our conversation from last year's convention. You can get by on Twitter with ONLY this hashtag for the convention. You don't need any other ones. As you get a little more advanced in your tweeting....you can learn more about these things. 5. In real life: Add your twitter username (known as your "handle") to your name tag at the convention. Talk to other people about how they're using Twitter. Don't be afraid to follow people and to see that others are following you. Twitter is worth exploring. There's a lot to be learned and gleaned from the vastness of its information stream. It does seem a bit overwhelming and daunting when you merely look at how many tweets there are per day, per hour, all over the world. 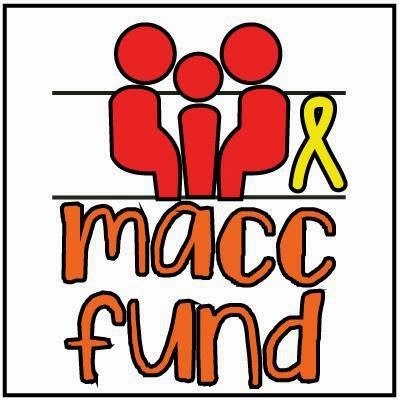 For specific uses and purposes, it can be a really useful and educational tool. I look forward to reading all the #ccar14 tweets! Passover is just around the corner and so is Rosh Chodesh Nisan, which is just about one week away. 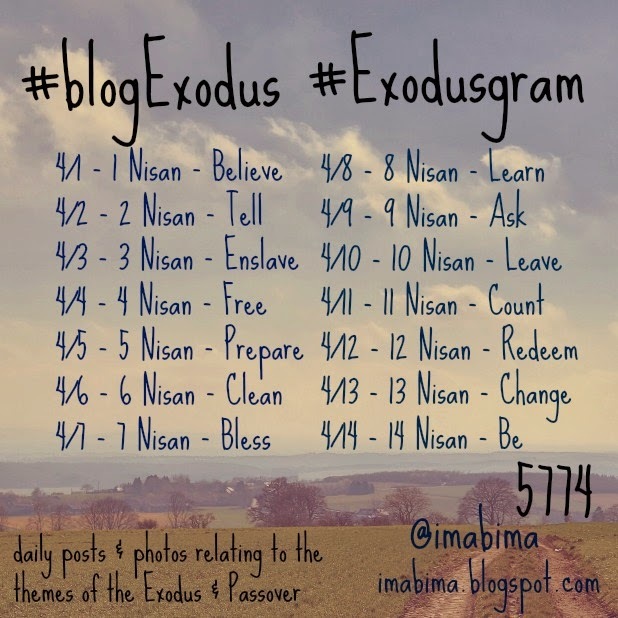 I've thought a lot about whether I wanted to offer up the #BlogExodus and #Exodusgram prompts again this year. And I almost didn't. But then I realized that whenever I put up the prompts, I share them with the reminder that it is entirely what you want it to be. So I decided to put forth the prompts and give it a try. Maybe I will write on all of them, and maybe I won't. But it's a start, right? So what is this really about? #BlogExodus is really what you want to make of it. I've provided topics for the first 14 days of the month of Nisan. What you do with it is up to you -- write a blog post, tweet, Facebook, tumblr, or something that I haven't even thought of yet! Use the hashtag to share your post (I put it into the title). It's a great way to kickstart a blog or rejuvenate your languishing blog or just get yourself ready for the holiday of Passover! I will be posting my #blogExodus posts here on this blog and I will tweet them out at @imabima. There aren't any rules, so maybe you don't like the order of the topics? Maybe you want to write on only a few of them? It doesn't matter. It is what you make of it.